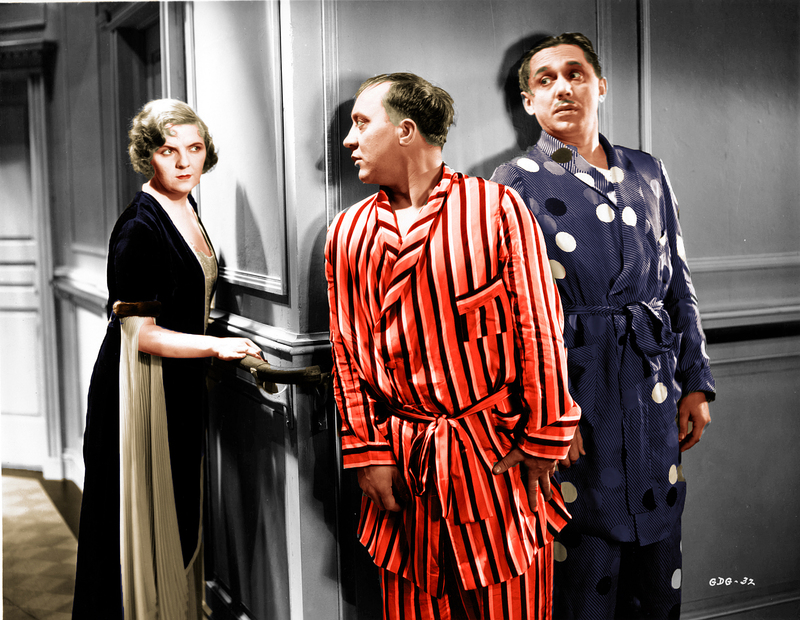 The kingdom ruled by the comedy team of Olsen and Johnson was Broadway, not the movie studio. 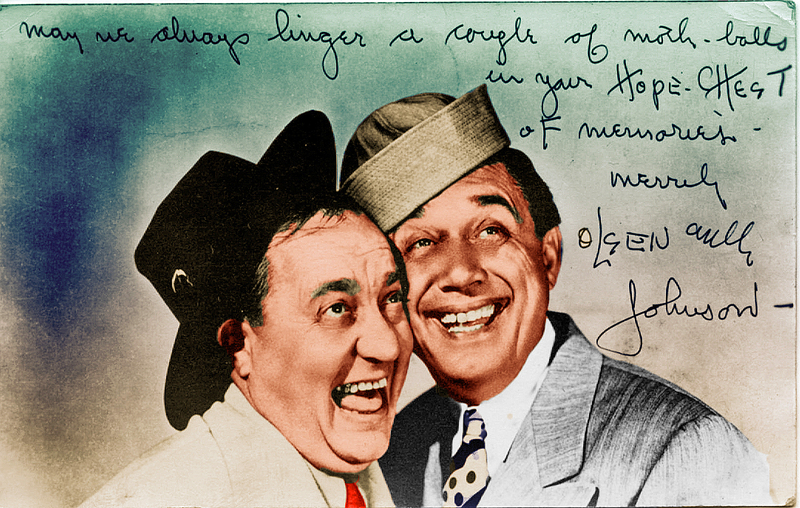 From the 1920s through the 1950s, Ole Olsen (on the right) and Chic Johnson starred in hit musical comedy revues season after season. 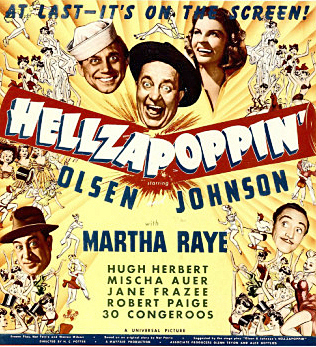 The nine films they made from 1930 to 1945 were a sideline to increase their theatrical appeal – “see movie stars live on stage” – but they only hit their stride in films at Universal in 1941 with HELLZAPOPPIN, adapted from their Broadway show that ran for over 1400 performances! Both men were professional musicians, Ole played the violin and Chic the piano. 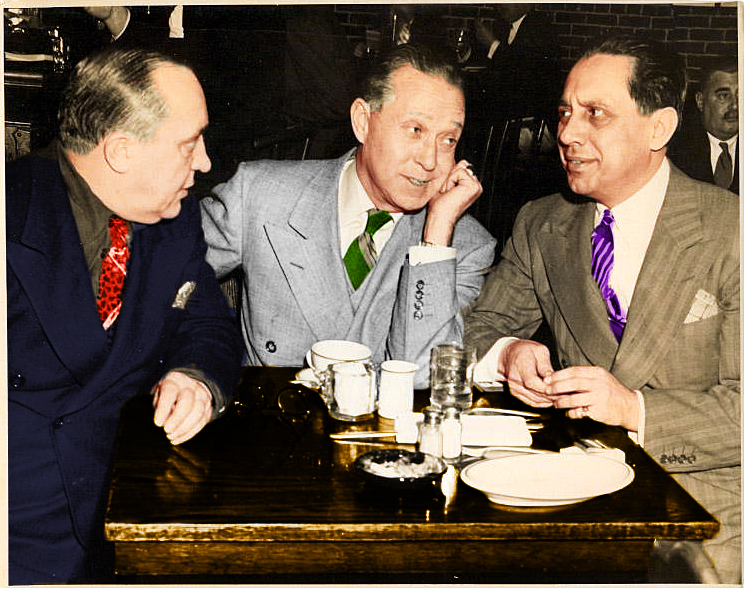 They met in 1912 when Olsen needed a ragtime pianist for his band and an amazing chemistry soon developed. Their musical training gave them a fine sense of comic timing. For example, they appear to both speak at the same time but, oddly, they never interrupted each other. 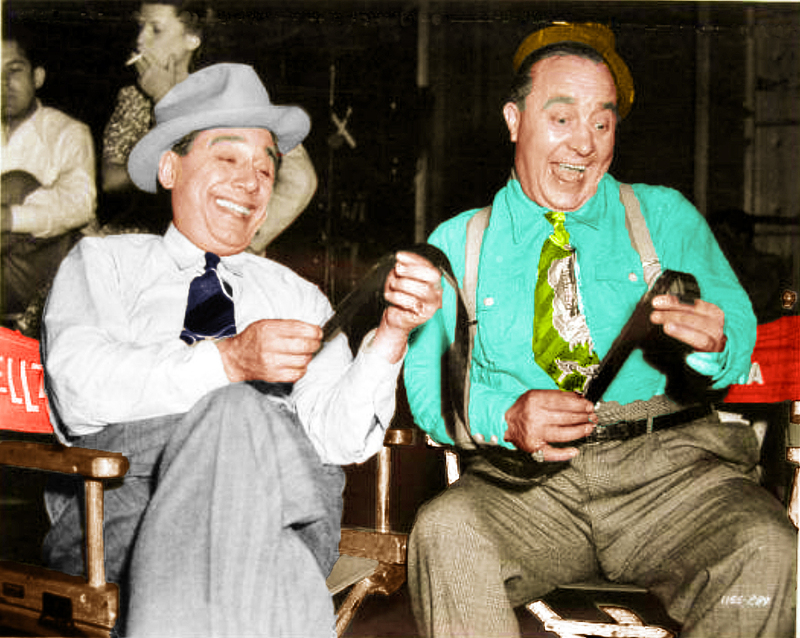 Another quality that set them apart from other comedy teams – they were both the comedian and there was no straight man. 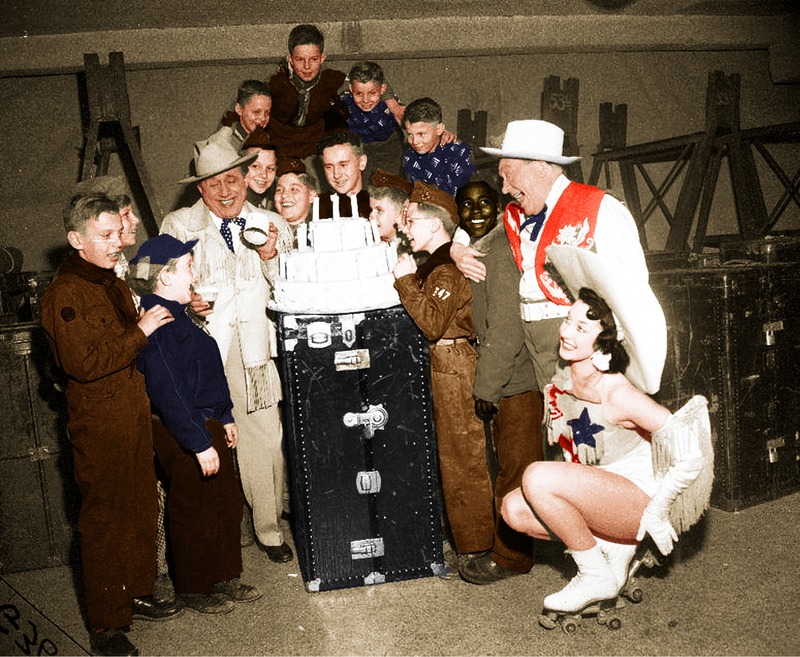 After another three-year run on Broadway in SONS O’FUN, Universal welcomed back the team with three more films: CRAZY HOUSE (1943), GHOST CATCHERS (1944), and SEE MY LAWYER (1945). 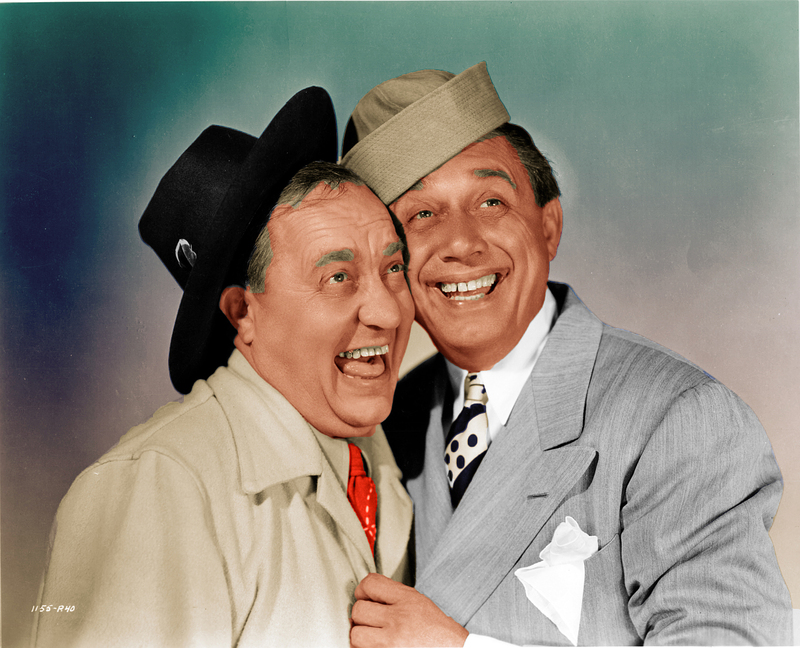 Olsen and Johnson were more than a successful comedy team throughout the decades. They were also such close friends that their widows agreed to inter them next to each other. 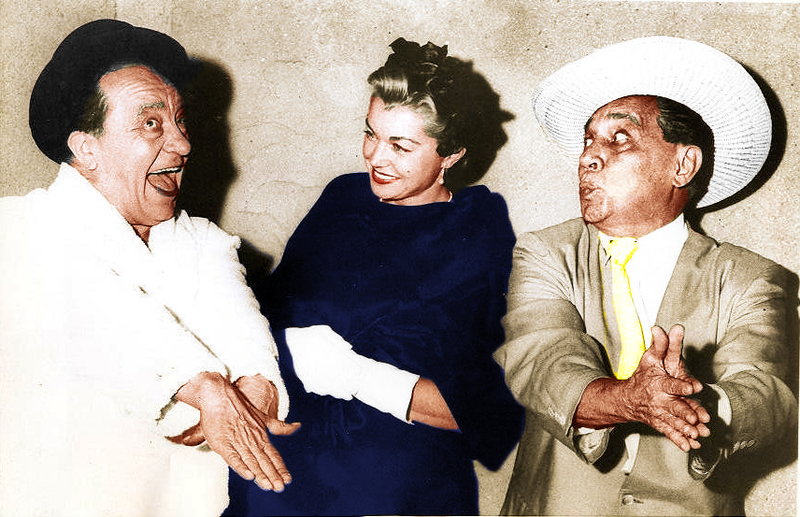 I don’t believe that any other comedy team is buried together, not even when they were relatives such as the Marx Brothers.